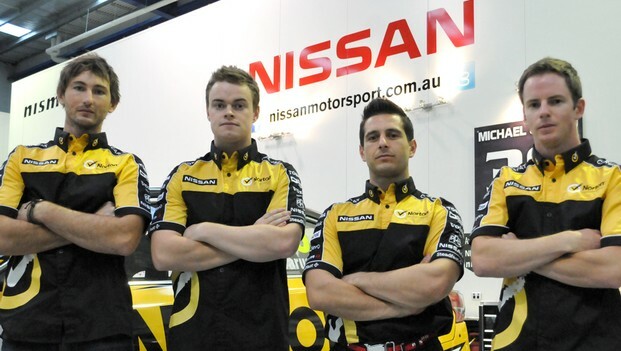 Norton 360 Racing has finalised its endurance driver line-up for the2013 V8 Supercars Championship, confirming the signing of young guns TazDouglas and Daniel Gaunt to the Nissan Motorsport squad. Douglas will partner James Moffat in the #360 Norton 360 RacingNissan, while New Zealander Gaunt will drive alongside Caruso in the #36 entry at the Sandown 500, Bathurst 1000 and Gold Coast 600. "I'm really excited to have Dan Gaunt alongside me in the #36Norton Altima," Caruso said. "He has been doing a lot of driving at Sandown and Bathurstover the past few years, and we're a similar height, so all those little thingshelp in the endurance races. "By the time we get to Bathurst, I think we'll have a reallygood opportunity. The Altima is handling well, and it seems to enjoyshigh-speed circuits, so I can't wait to get to the Mountain and strangle thelife out of the car there." Gaunt said driving for a factory team was a great opportunity. "The height thing is a big factor in the endurance races,”Gaunt explained. “We're roughly the same stature, so I can't wait to have askid in the Altima. "I haven't driven one of the new-generation V8 Supercars yet, butfrom what I've heard, there are a lot of similarities to the old cars and a lotof changes as well. Apparently, the differences are similar to the V8SuperTourer that I've been racing in New Zealand for the past year, sohopefully there's no major transition phase. It should just be a matter ofgetting up to speed and learning how Michael likes the car." Both Douglas and Gaunt will be race fit for the two-driver events asthey are both competing in the Dunlop Development Series this year, driving forrival Ford teams. Moffat was equally happy with his pairing. "I'm really happy to have Taz with me in the season ofendurance. 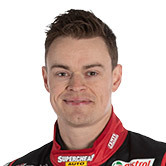 I think he'll be a really good fit on our side of the garage atNorton 360 Racing – not only for Sandown and Bathurst, but for the Gold Coastas well," The #360 primary driver said. "Taz and I have been mates for a while now. I was actually hismechanic for the 2005 Victorian Formula Ford Series. We've known each other fora long time and I'm sure he'll fit in. 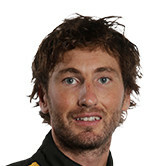 "Naturally, we want to go as well as we can and it's fair tosay that not many will consider us outright contenders. If we can sneak along,stay out of trouble, we should be able to get some positive results across thethree races." 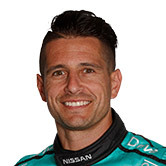 Douglas echoed Gaunt’s feelings about contesting the enduros with a factory team and is looking forward torepresenting Nissan at the upcoming events. "Whenever you can drive for a factory team, it's exciting, andfor me, it's my first time with a factory V8 team, so it's a dream cometrue," Douglas said. "It's also Nissan's first time back at Bathurst, so it will begreat to be a part of it. "I don't like to put expectations on things. Moffat has beengoing really well in the Championship so far, and the Nissans have been showingbetter speed than what many have expected. I think with our experiencetogether, there's no reason why we can't achieve solid results." Douglas praised the inaugural Enduro Cup format, recognising the highest scoring driver/s from the Sandown 500 (September 13-15), Supercheap Auto Bathurst 1000 (October 10-13) and Armor All Gold Coast 600 (October 25-27). "The Enduro Cup is a new thing this year. It's a good initiative forguys like myself to aspire to (win)," Douglas said. "We get to race at the Gold Coast as well,and I raced there last year, so I think that will hold me in good stead." The Norton 360 Racing endurance drivers will have the opportunity to drive the Nissan Altimas during test days leading up to the endurance races, as wellas 'co-driver' practice sessions at Townsville, Queensland Raceway and Winton'sV8 events.